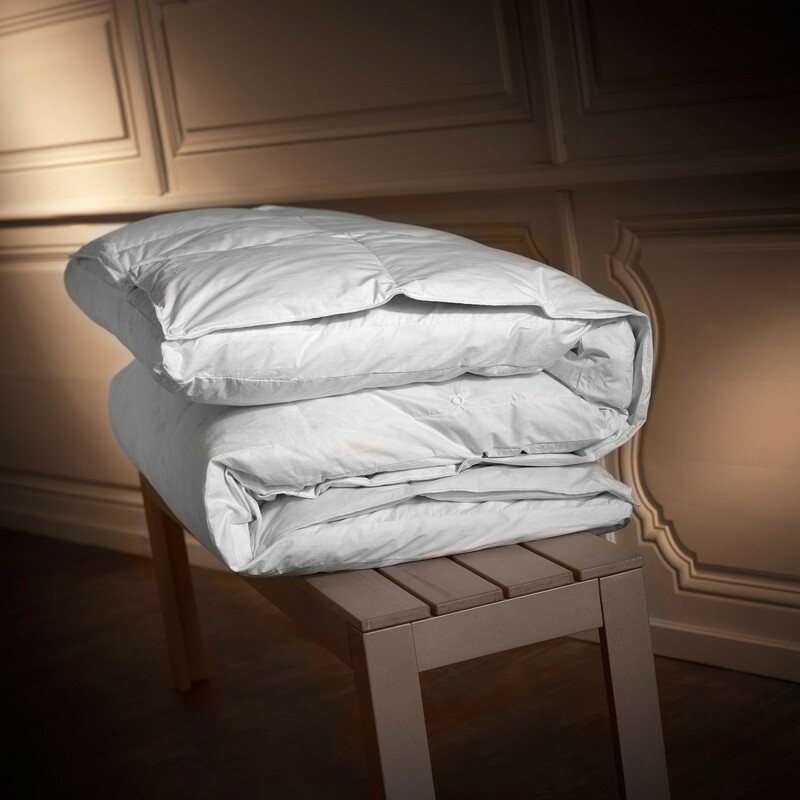 Imagined by Dumas Paris, the duvet Prestige® mattress topper is a registered model. 2-in-1, it is composed with a soft superior part and a firm lower part, creating a real sensation of cloud. Perfect complement of comfort to a firm mattress, the natural Prestige® mattress topper brings warmth to chilly people during the winter. Composition The natural Prestige® mattress topper is composed of two parts. The lower part has of a thickness of 6 cm and isfilled with 90% new duck feather and 10% down with a weight of 1500g/m² which allows to express the swelling of the material. 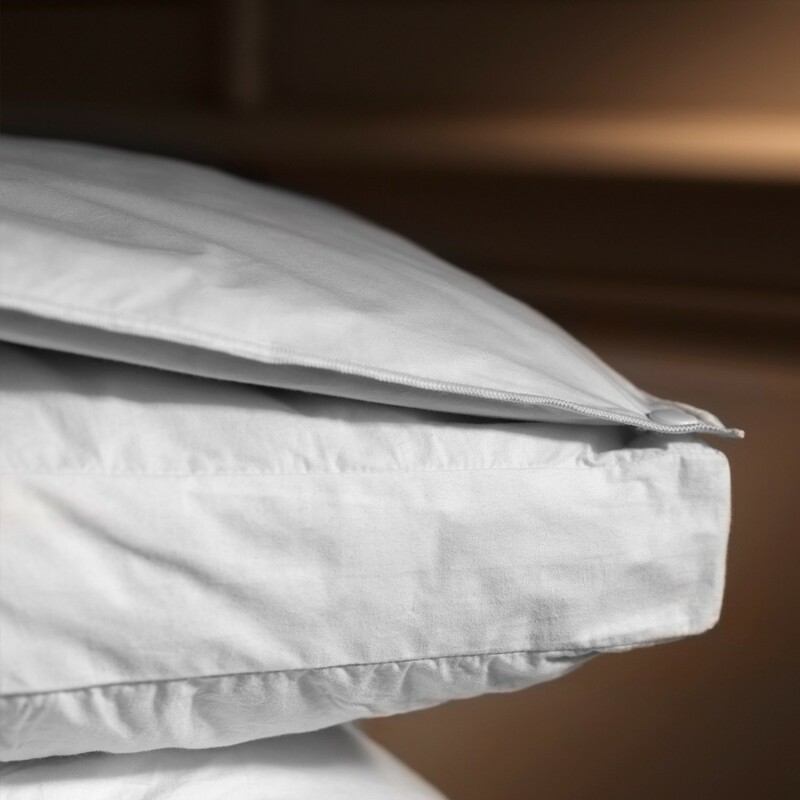 The upper part, clipped, is a thin duvet filled with 70% new duck down, 30% new duck feather (150g/m²) providing an unparalleled softness. The envelope is down-proof cotton. The two parts are tied together by pressure. A suitable protective cover is provided with your mattress topper. Packaging The Dumas Paris large canvas bag that protects your featherbed can be used for storage during the summer months. Tailor-made and embroidery The natural Prestige mattress topper can not be made to measure. The protective cover delivered with can be personalized from embroidery to your initials or to the room number. Cleaning proccess The upper part and the protective cover are machine washable at 40°C. The lower part is not washable in traditional machine nor dryer. It must therefore be protected as a mattress. The natural Prestige® mattress topper is a product of Haute Literie®. Creating the sensation of sleeping on a cloud, the Prestige natural mattress topper is the element that completes your Haute Literie® set. Made in France, it is manufactured in the Dumas Paris workshops, which perpetuate over the generations the French art of sleeping.